Our passion is helping our young patients grow healthy smiles. Book an appointment at Wilson Pediatric Dentistry in Wilson, NC. Your child’s first dental visit doesn’t need to be a stressful experience. We make the process comforting and fun. 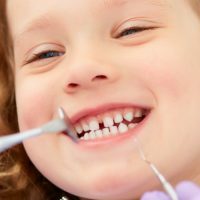 Here at Wilson Pediatric Dentistry, we offer a variety of services to foster healthy growth of your child’s new teeth. We’re excited to welcome you to our practice. 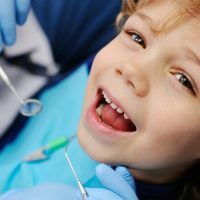 Here at Wilson Pediatric Dentistry, we recognize that pediatric dental care is important and that children have unique needs. By establishing a strong dental plan, your child will have a jump-start on a lifetime of healthy teeth and shining smiles. Everything we do is targeted at creating the best possible experiences for our young patients. From the welcoming lobby to our friendly staff, we create a warm and reassuring environment for your son or daughter. From there we work closely with you and your child to develop a dental health plan catered to their particular needs. With a focus on preventative dental care, we offer treatments that help foster healthy development of teeth. 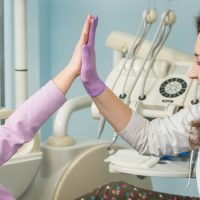 As the only pediatric dental office in Eastern North Carolina that accepts Medicaid, we can help get your child started off on the path to dental health! Contact us to learn more about your local pediatric dentist near Greenville, North Carolina. We also serve the Rocky Mount and Knightdale areas. Dr. Jasmine Elmore, DDS has dedicated her professional career to providing the kids of Wilson, North Carolina, the best possible dental care. As the owner of Wilson Pediatric Dentistry, she has assembled a team who excel at providing young patients with warm, compassionate care. Her staff has years of experience working in pediatric dentistry. From the second you check in with one of our Tiny Tooth Heroes, to your check-out, you’ll experience a warm and friendly atmosphere that will help your child ease into excellent dental health. Our team is excited to work with your child. Learn more about what makes our team special. Dr. Elmore will be on sabbatical in 2019. Dr. Elmore has personally selected Dr. Love Moore, Pediatric Dentist, to care for all the amazing children at Wilson Pediatric Dentistry. Wilson Pediatric Dentistry is excited about the growth we continue to have thanks to our awesome team and patients! As a pediatric dentist, Dr. Love Moore, DDS enjoys watching kids grow while providing quality dental care. Dr. Moore grew up in Garner, North Carolina. She received her Doctorate of Dental Surgery from Meharry Medical College in Nashville, Tennessee. While at Meharry Medical College, she was inducted into the Omicron Kappa Upsilon Honor Society and graduated at the top of her class. 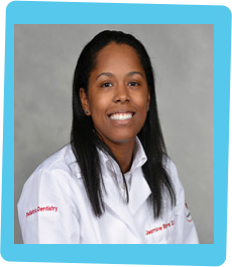 After dental school, Dr. Moore continued her postgraduate studies at Rutgers School of Dental Medicine and received her certificate in Pediatric Dentistry. 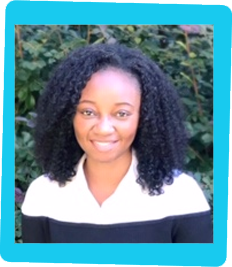 Her training has given her extensive experience in all aspects of pediatric dental care, including caring for infants and patients with special needs. She is excited to work with your child at Wilson Pediatric Dentistry. I took both of my girls to get cleaned here. They're both typically scared of their shadows but we're both made very comfortable. Impressed with the professionalism and will use again for sure. Took my son, JR, for a routine cleaning and the staff was very warm and inviting. They introduced themselves and made the transition very smooth. The service was high quality and quick. I took my grandson in today for cleaning. The service he received was really really great. The staff was very professional and friendly. The Dr was so professional and friendly as well.